Hugh Michael Jackman (born October 12, 1968) is an Australian actor and producer who is involved in film, musical theatre, and television. 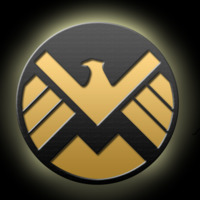 Jackman was born in Sydney, New South Wales, of English parentage, and the youngest of five children, Jackman has a communications degree with a journalism major from the University of Technology Sydney. After graduating, he pursued drama at the Western Australian Academy of Performing Arts, immediately after which he was offered a starring role in the ABC-TV prison drama Correlli (1995), opposite his future wife 'Deborra-Lee Furness'. Several TV guest roles followed, as an actor and variety compere. An accomplished singer, Jackman has starred as Gaston in the Australian production of Beauty and the Beast. He appeared as Joe Gillis in the Australian production of Sunset Boulevard. In 1998, he was cast as Curly in the Royal National Theatre's production of 'Trevor Nunn' Oklahoma. Jackman has made two feature films, the second of which, Erskineville Kings (1999), garnered him an Australian Film Institute nomination for Best Actor in 1999. Jackman was one of the choices to play James Bond in 2006's Casino Royale, but eventually lost out to 'Daniel Craig'. Jackman starred in the 2006 film The Prestige, directed by Christopher Nolan and co-starring 'Christian Bale', 'Michael Caine', and 'Scarlett Johansson'. As Robert Angier, Jackman portrayed a magician who built up a rivalry with contemporary Alfred Borden in attempt to one-up each other in the art of deception. Jackman stated that his main reason for doing The Prestige was to work with musician David Bowie, who played scientist Nikola Tesla. Jackman also starred in Woody Alle's 2006 film Scoop opposite 'Scarlett Johansson'. That year he also reprised the role of Wolverine in X-Men: The Last Stand. He rounded out 2006 with two animated films: Happy Feet, directed by George Miller, in which he voiced the part of Memphis, an emperor penguin; and Flushed Away, where Jackman supplied the voice of a rat named Roddy who ends up being flushed down a family's toilet into the London sewer system. Flushed Away co-starred 'Kate Winslet' and 'Ian McKellen' (Jackman's fourth time working with him). In 2007, Jackman produced and guest-starred in the television musical-dramedy series Viva Laughlin, which was cancelled by CBS after two episodes. Jackman's 2008 movies included Deception (which he starred in and produced), Uncle Jonny, and Australia. Jackman has won international recognition for his roles in major films, notably as superhero, period, and romance characters. He is known for his long-running role as Wolverine in the X-Men film series, as well as for his leads in Kate & Leopold, Van Helsing, The Prestige, Australia, Real Steel, Les Misérables, and Prisoners. His work in Les Misérables earned him his first Academy Award nomination for Best Actor and his first Golden Globe Award for Best Actor in a Musical or Comedy in 2013. He is also a singer, dancer, and actor in stage musicals, and won a Tony Award for his role in The Boy from Oz. 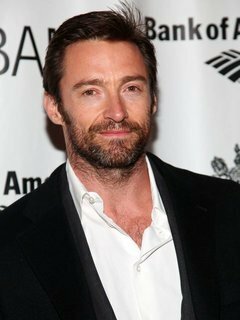 A three-time host of the Tony Awards, winning an Emmy Award for one of these appearances, Jackman also hosted the 81st Academy Awards on February 22, 2009. Jackman has reprised his role as the Wolverine in X-Men spin-off films. Jackman starred in X-Men Origins: Wolverine which opened in 2009. Jackman starred again as Wolverine in 2013 in The Wolverine. Jackman made a cameo appearance as Wolverine in X-Men: First Class in 2012. In a November 2012 release, Jackman voiced the role of E.Aster Bunnymund (the Easter Bunny) in the animated film Rise of the Guardians. Jackman starred as Jean Valjean in the film Les Misérables, an adaptation of the musical. The film opened on December 25, 2012. For the role, he lost 15 pounds and later had to regain 30 pounds to mirror his character's newfound success. He won the Golden Globe Award for Best Actor-Comedy or Musical in January 2013 for this performance. Jackman married Deborra-Lee Furness (April 11, 1996) at St. John's in Toorak, Victoria, a suburb of Melbourne. They met on the set of Australian TV show Correlli. Jackman personally designed an engagement ring for Furness, and their wedding rings bore the Sanskrit inscription "Om paramar mainamar", translated as "we dedicate our union to a greater source". Furness had two miscarriages, following which she and Jackman adopted two children, Oscar Maximillian and Ava Eliot. In November 2013, Jackman announced he had had basal-cell carcinoma removed from his nose. In his spare time, Jackman plays piano, golf, and guitar, and likes to windsurf. He admitted after _X-Men (2000)_ (qv) that it was difficult to summon up the rage and darkness necessary for the character of Logan/Wolverine and it took weeks of work with 'Bryan Singer' (qv) to find the right tone for the character. After that, however, it was relatively easy for him to play the angry character. He was one of the presenters at the 2002 Academy Awards, but says he'll think twice about attending again. He says, "I slept for about an hour and I'd have liked a little bit of sushi to come down. There'll be a lot of drunken parties back home and people betting and that's usually what I'm at, so getting up there in a suit and talking for a little bit is kind of bizarre." He had never seen an episode of _"Saturday Night Live" (1975)_ (qv) until he agreed to host the show. The producers sent him tapes of episodes so he could understand the format of the show. He later said that his favorite was the one hosted by 'Conan O'Brien' (qv). Wants to produce and star in a film based on the life of _"The Incredible Hulk" (1978)_ (qv) actor 'Bill Bixby (I)' (qv). He sang "People Will Say We're in Love" from "Oklahoma!" with 'Shirley Jones (I)' (qv), when they reprised their respective roles of Curly and Laurie, at the opening of Fox Studios in Sydney. For Sunset Boulevard (as Joe Gillis), he won a Variety Club, a Mo and a Green Room Award as best male actor in a musical. He was nominated for a 'Laurence Olivier' (qv) Award in 1998 as Curly in the Royal National Theatre's Oklahoma!. He was nominated for a 1999 'Laurence Olivier' (qv) Theatre Award for the 1998 season for Best Actor in a Musical for his role in "Oklahoma. ".